State Auditor Tim Keller today released The Findings Report: A Summary of New Mexico’s Governmental Financial Audits. The third annual report from the Office of the State Auditor (OSA) compiles information that would otherwise remain buried deep within thousands of pages of annual audits. The report allows policymakers and the public to easily access comparative information about the financial health of hundreds of state agencies, counties, municipalities, schools, and courts. 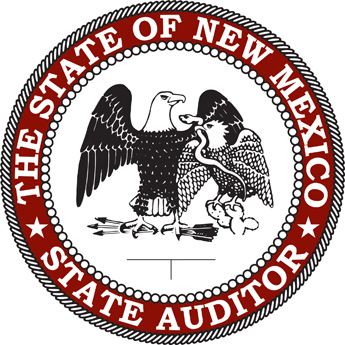 The Fiscal Year 2016 report compiles and analyzes data from the audits of 461 government entities across New Mexico government. The report provides a snapshot of financial health from information compiled from audits, including audit opinions, types of audit findings, and audit findings that repeated from year-to-year. The report also identifies entities that have improved since the previous fiscal year. • The vast majority of New Mexico’s governmental entities, 94 percent, are providing reliable financial information to the public. However, 26 entities, or 6 percent, had unfavorable audit opinions, including the Department of Homeland Security and Emergency Management (FY15), the Office of the Superintendent of Insurance, the Northern New Mexico College, the Towns of Bernalillo, Estancia and Vaughn; and the Villages of Capitan (FY15) and Maxwell. • There were more than 1,700 total findings across audited entities, a 4-percent improvement since FY15. Thirty percent of all entities had no findings at all; however, the frequency and severity of findings across governmental entities show that a few, especially-challenged entities are in dire need of improvement. The entities with more than 30 findings are the Public Education Department (184), Albuquerque Public Schools (52), Northern New Mexico College (37), Deming Public Schools (37), the Town of Estancia (34), and the Office of the Superintendent of Insurance (31). For each agency, the number of findings includes its component units, such as charter schools, housing authorities, and hospitals. • More than 600 of all audit findings were repeated from a previous year, indicating a need for those entities to focus on corrective action plans to address weaknesses. The entities with the most repeated findings are the Public Education Department, Taos Municipal Schools, Albuquerque Public Schools, Cibola County (FY15), the Central Consolidated School District, and the Village of Cimarron (FY15). For each agency, the number of findings includes its component units, such as charter schools, housing authorities, and hospitals. • Many entities made improvements in reducing the total number of findings or the audit opinion they received from year-to-year. Some of the improved entities are Alamogordo Municipal Schools, City of Gallup, City of Rio Communities, Rio Arriba County, and Eunice Special Hospital District. • Locally, Eddy County increased in its number of findings in FY16 (10) from seven in FY15. The Fifth Judicial District Attorney and Fifth Judicial District Court had no findings, as did the Artesia Special Hospital District, Eddy-Lea Energy Alliance, LLC, the Carlsbad Irrigation District, and the Southeastern New Mexico Economic Development District. The City of Artesia went from three findings in FY15 to four in FY16, and the Artesia Public Schools remained at one finding. OSA encourages the public to look up government entities of interest in the full report, which can be found line at www.saonm.org/media/uploads/FY16_Findings_Report_Aug_2017_Final.pdf.